To perform a successful condenser retube requires extreme attention to detail, extreme attention planning, and extreme managing. Managing large crews, and often retubing multiple condenser bundles all at once, requires experience. 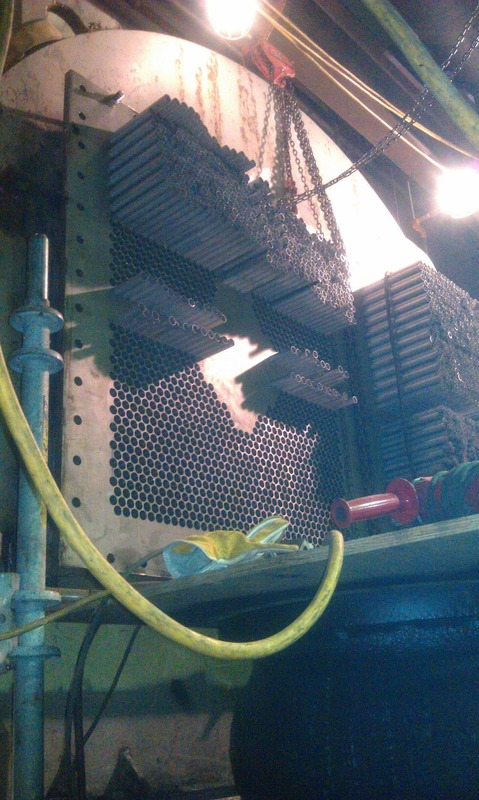 AM-EX has been performing condenser retube for over 3 decades. This experience requires lists, lots of lists, bills of material (BOM), detailed engineered, QAQC documentation, safety procedures, specific and custom tooling, etc . . . just to name a few. When it comes to equipment, AM-EX equipment is top of the line, professionally maintained, and ready to use as quickly as tubing can be acquired to perform the job. Luckily AM-EX has a dedicated field service department, ready 24/7 for the most critical condenser repairs, condenser retubing, etc. Photo above is one of AM-EX field service specific retubing containers. After every job the container is emptied, equipment refurbished as required, repaired as required, maintained as required and the container is stored in a specific location. 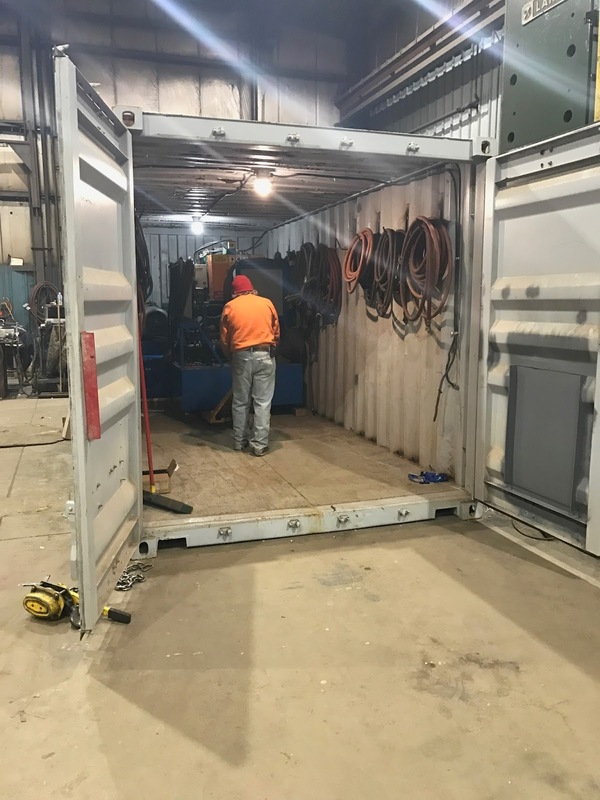 Once AM-EX acquire's an order for a condenser retube, the equipment is modified specific to the condenser retube, and loaded into the specific containers required for the job. Contact AM-EX for you condenser retube requirements. Tools such as Strippers, Choppers, ID Cutters, Rolling Motors, Large Hydraulic Pumps, Cleaning and Blasting Equipment, Stub Pullers, Tube Guides, Tube Trimmers, AM-EX specific ASME Certified Material Tube Plugs, Rollers, Orbital Welders, PPE, Etc are all ready for use to meet the most stringent customer specifications. When running large projects, it is imperative to use a highly skilled, and trained work force such as AM-EX field service crew. AM-EX attention to safety is impeccable, with extremely low EMR rates as proof. Follow this blog for more details regarding condenser retubing. Preparing for a major condenser retube takes work... Alot of work. AM-EX is an ASME Code Shop and HEI Member Company. AM-EX has U, R, and PP Stamps. Along with expertise in condenser retubing, AM-EX specialize in explosive tube plugging of high pressure feedwater heaters, explosive sleeving, feedwater heater manufacturing and designs, condenser manufacturing and design, and balance of plant shell and tube heat exchangers.